Jennifer Lopez may have millions of fans globally, but her biggest might just be her new fiancé. 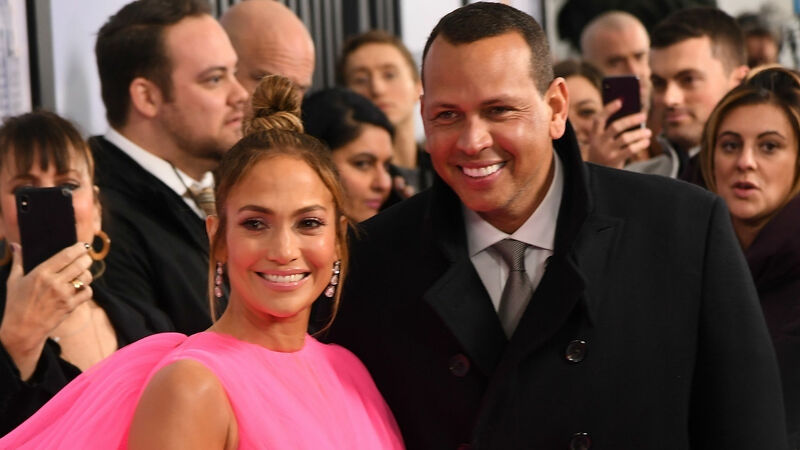 Alex Rodriguez’s video of J.Lo dancing to a Cardi B and Rihanna remix is the latest in an ever-growing list of A.Rod’s supportive posts about his soon-to-be wife. And even though they’re both super-high-profile stars, the cute shout-out proves they’re perfectly content to kick it low-key as long as they’re together — in the video, Lopez is wearing a simple sports bra and gray sweat pants as she practices some of the dance moves from her upcoming “It’s My Party” tour. Rodriguez took to Instagram on Saturday, April 6, to give the rest of Lopez’s fans a sneak peek at what’s in store on the tour. The short clip shows Lopez doing a casual version of what appears to be a new routine set to a mash-up of Cardi B’s “Bodak Yellow” and Rihanna’s “B*tch Better Have My Money.” Of course, Rodriguez hyped up his lady in the caption, gushing, “You know it’s comin’. It’s already her party here in the Rocky Mountains. #rehearsals #cantwait #JLoItsMyParty.” Per E! News, the couple is in Denver for the Los Angeles Dodgers vs. Colorado Rockies baseball game, which falls under the purview of Rodriguez’s day job as a sports commentator and analyst. Look at these two — they only just got engaged on March 9, and they already have the whole head-over-heels newlywed vibe nailed. We wouldn’t be surprised to see Rodriguez sitting in the front row for Hustlers and for Lopez’s “It’s My Party” tour.